Multiplayer mode always was the most important part of Battlefield series, and this year it also looks great, immense and exciting. Today the developers have presented the new Battlefield 4 trailer, in which you can see the beauty and the power of this online competition. 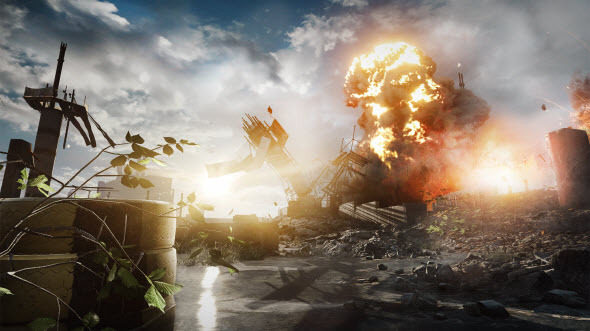 The Battlefield 4 trailer demonstrates short gameplay scenes and is accompanied by the commentaries from the developers. From the voice-over we get to know that in Battlefield 4 multiplayer mode you will be able to choose your own style of playing, fighting alone or with a faithful team. The mode will be extremely various, because you will be able to take part in a war on 10 different maps and in 7 versatile modes. Each map will require its own style of playing, because on some of them you will get very intensive close battle, and on the other ones - the large-scale war. Yesterday we reported about other interesting Battlefield 4 videos and game's beta. And today we want to add that Battlefield 4 beta will start on the 1st of October for the owners of Battlefield 4 Deluxe Edition, premium members of the Battlefield 3 club and those who have bought the limited or the deluxe edition of Medal of Honor: Warfighter. The other gamers will get Battlefield 4 beta on the 4th of October.